The Monroe City Council approves a pay scale study, expected to take four to six weeks to complete. After pleas from Monroe city workers for the administration to reward them for their hard work, the city council has approved two items aimed at starting a conversation on an increase in the minimum wage for city employees. The News-Star reports (http://tnsne.ws/1wZIYzT ) the two items are a resolution stating the city council supports an increase in the minimum wage to $10 an hour and the approval of a study that will compare pay scales and job descriptions of Monroe to similarly situated cities. Mayor Jamie Mayo says the additional expense would cost the city $1.5 million dollars. The council approved Tuesday paying for a pay scale study, which is expected to take four to six weeks to complete. 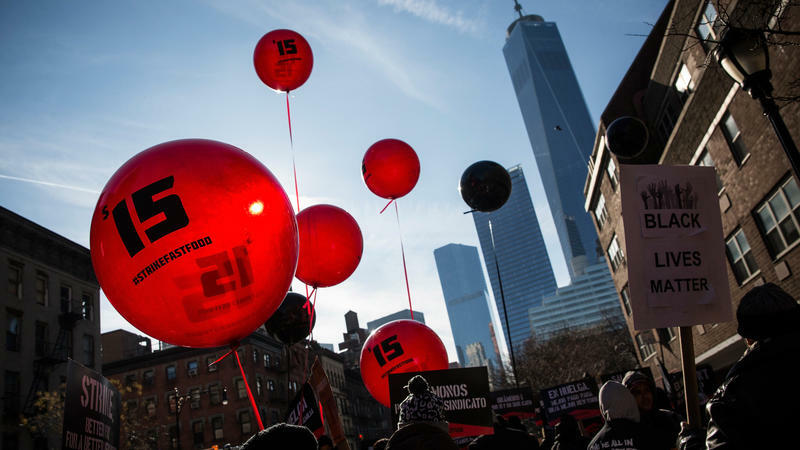 The minimum wage went up in 20 states Thursday, a day after the state of New York boosted its minimum, which means a majority of states now have a minimum wage higher than the federal government's, which is set at $7.25. The state with the highest minimum wage is now Washington state, at $9.47 an hour.